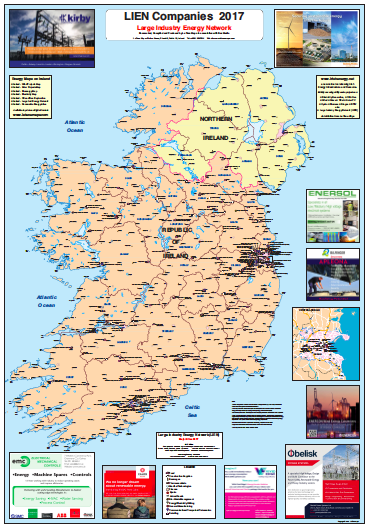 La Tene Maps has been producing Electricity Generation and Transmission Maps for many years. 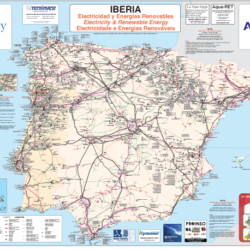 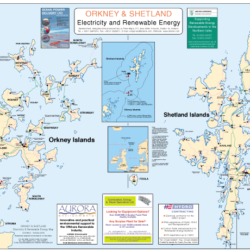 These maps generally show the electricity transmission system and sometimes the electricity distribution system together with the generators attached to it. 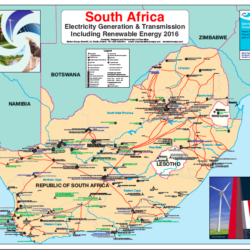 These generally include both traditional fossil fuel generators as well as all renewable energy installations. 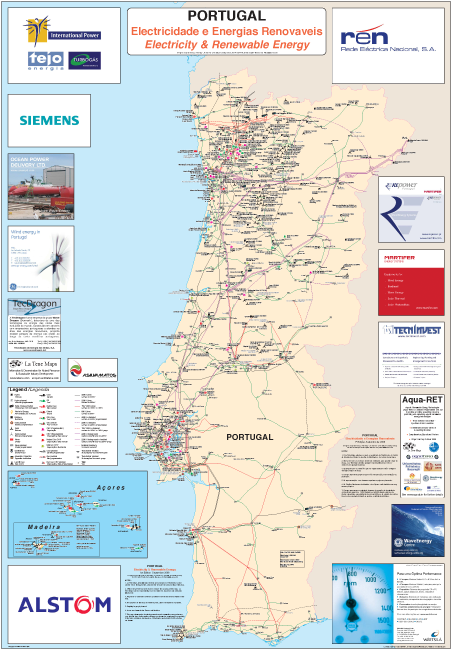 Substations are generally shown and named. 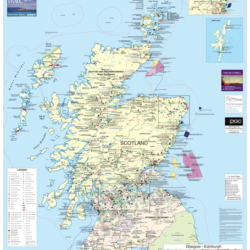 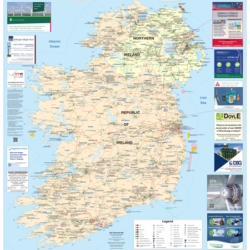 A series of maps is available covering Ireland, Britain, Portugal and Spain. 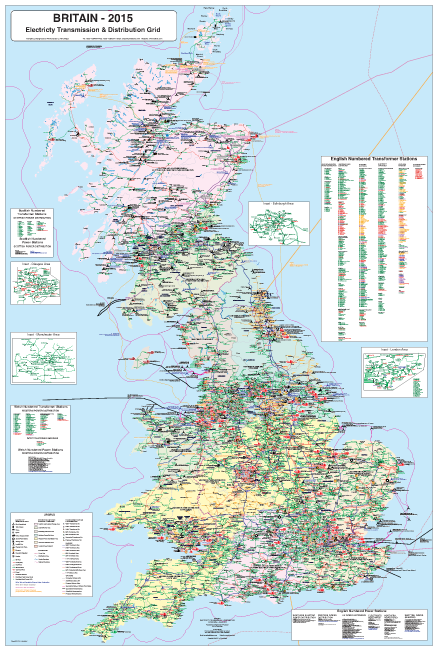 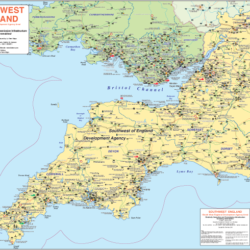 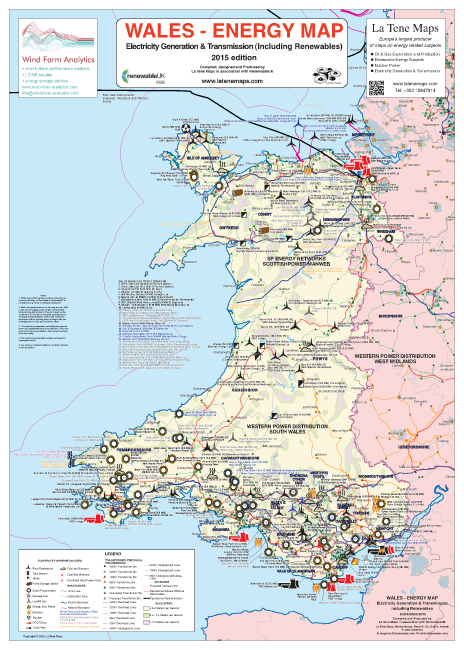 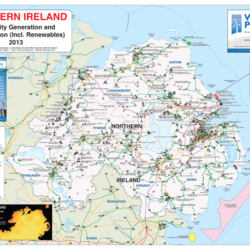 The maps on Britain and Ireland have the distributions systems shown down to the 33kV and 38kV levels respectively.